Chong Pang – a precinct located in Yishun, Chong Pang Village was originally called the Westhill Village or Westhill estate. The place is renamed to Chong Pang to mark Lim Chong Pang – son of Lim Nee Soon of his contributions to the community. Chong Pang Market and Food Centre is located along Yishun Ring road, if you do not know, Chong Pang Market is also a place to find good and cheap durian during the durian session as well and the birth place of many millionaires from the even more popular TOTO booth. 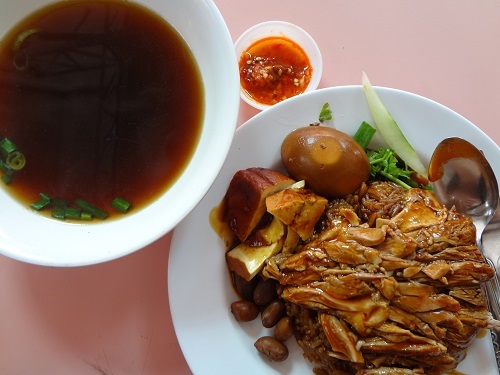 The famous duck rice was one of the main attractions that lured us back to this food centre. Though we reached there before 11am trying to avoid the long queue, the queue already beat us flat. 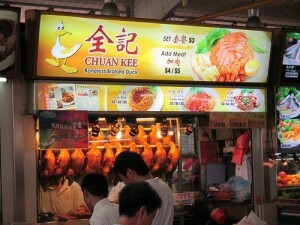 Chuan Kee Boneless Braised Duck seems to be the star in this food centre with no other stalls seemingly able to attract the attention. A good duck rice much determined by the tenderness and tastefulness of the duck. Chuan Kee has accomplished the requirements with their secret recipe, producing the duck meat that was tendered with a salivating flavourful seasoning. Each piece of the duck meat was skillfully sliced to have the same thickness that is perfect for the bite. Of course, another important factor of a good duck rice has to be the standard of the rice, Chuan Kee’s success does not just rely on their good duck meat, but the attention to the rice as well; the braised rice was superiorly cooked to a fine texture and create a rich aromatic flavour that accentuate the scrumptious taste. The soup was enhanced by the herbs to create a sweet and nice bowl of tasting broth. 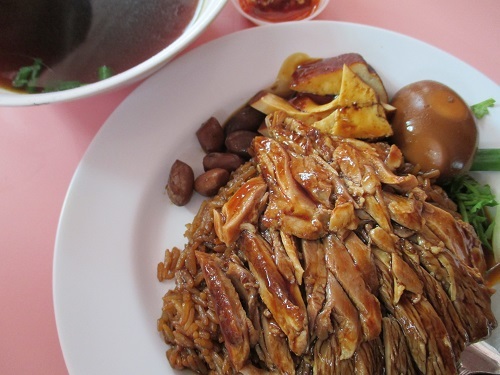 Overall, there are not many duck rice stalls that are able to fulfill the good standard in all aspects especially the duck meat, the rice and the bowl of the herbal soup. 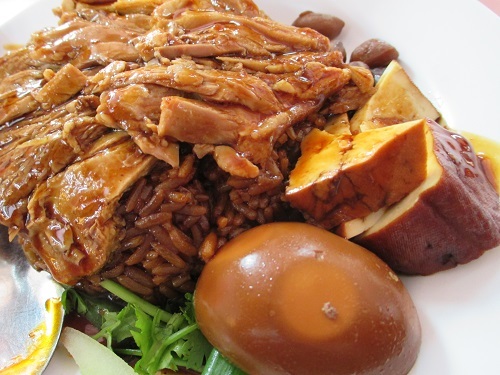 Chuan Kee Boneless Braised Duck is one of the very few that is able to stand up for the challenge.